Department of Normal Physiology, Russian National Medical University, Moscow. 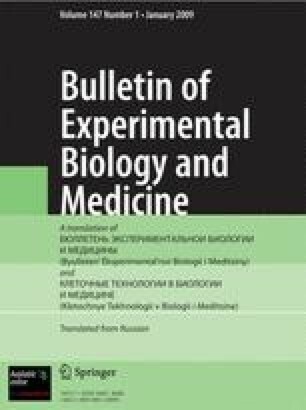 (Presented by Academician of the Russian Academy of Medical Sciences V. A. Negovskii.) Translated from Byulleten' Éksperimental'noi Biologii i Meditsiny, Vol. 114, No. 10, pp. 339–340, October, 1992.